I had a few teachers in throughout Grade School and Middle School who always rode bikes a lot and as a kid in that era you eithe rode your bike or walked places. I chose to ride everywhere and started riding from town to town on my own at a really young age with some of those teachers. I had always liked riding but the curiosity grew the more I rode longer distances. I first saw cycling on TV during the 1984 Olympics. I watched all of the cycling events live on TV and I specifically remember watching Alexi Grewal win the Men’s Road Race. In my mind it was one of the coolest things I had ever seen and it really made me want to not only ride but race as well. When I first started racing there was no cycling scene in Abilene, Kansas (still isn’t) and I had to either ride my bike to Salina for group rides or train alone. I spent the first 6-7 years primarily training by myself, no computer, heart rate monitor, no coach, nothing…. Just riding with no real direction of how to train because I was the only person in my hometown who raced. I eventually connected with a coach in 1990 which was a good turning point for me when it came to training. Currently the biggest challenge with training is being consistent. Traveling a lot for work, life, kids etc can make it hard. I’m very fortunate I work in the bike industry so it does make it easier at times. I always want to be fit, not in shape (there is a difference). I want to be able to show up to a race to have an impact on the race outcome. I never want to sit in during a race or do a race to “accomplish” it. I train really hard with my training partner on a regular basis to keep a higher level of fitness if possible. 5. What are your goals for 2018/19?? As life has gotten busier I tell myself every year I want to race a bit more but work, life and running the KCCX Team keeps me busy and I don’t race as much. 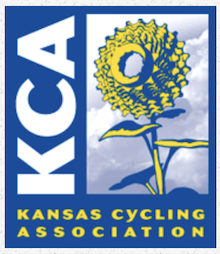 I want to keep on track with the goals of KCCX and race as much as I possible can and still have an impact on the outcome of races. Since 2002 I’ve trained with Shadd Smith and we’ve trained tens of thousands of miles together in the best of weather and the absolute worst of weather. Everyone has to have a motivating factor to train this hard all of the time and it’s a two way street. We ride together in order to help keep each others heads in the game, push each other physically and stay motivated all year to be ready to race all of the time. Wyandotte County has some of the best road training I’ve ever ridden and it has every terrain you could ask for. I also really like training North of the river in “Gods Country”…. That’s what Phil Gronniger always called it and it too has amazing training. Don’t become a victim of having to have all of the super fast, nicest new equipment. It’s not the equipment that makes the rider. It’s the rider, not the bike. Some of the fastest people I know ride really old, outdated equipment and they’ll tear your legs off. Far too often people hyper focus on this rather than actually training. You need to train properly, listen to your coach if you have one and listen to your body. It will tell you more than anything. Cycling is a sport for life. I work for One 2 Go Event Services which is the nations leading bicycle timing company. We provide timing and results for races off all levels from amateurs to professional racing. I’m not a big fan of the word epic, I prefer insane and there isn’t anyone particular race or training ride that sticks out in my mind. All of them are an adventure and you see something different every day. If you’re not a one dimensional cyclist and do multiple disciplines the sport is truly an adventure.